. The signature fabric is a luxurious Italian jersey that has an element of stretch, which gives a fantastic fit and flatters the female form. 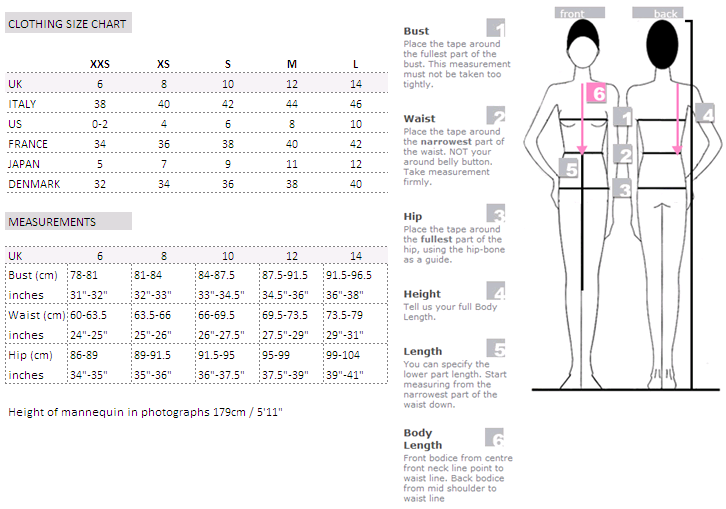 The sizes here are accurate to standard UK sizing, however, the dresses do fit a great size ratio.
. Height of model is 5'9" and wears a size S UK 8-10.